Indie Pop five-piece Summer Scouts have an eclectic sound with pop sensibilities and post-rock dynamics to make anthemic and intimately heartfelt music. 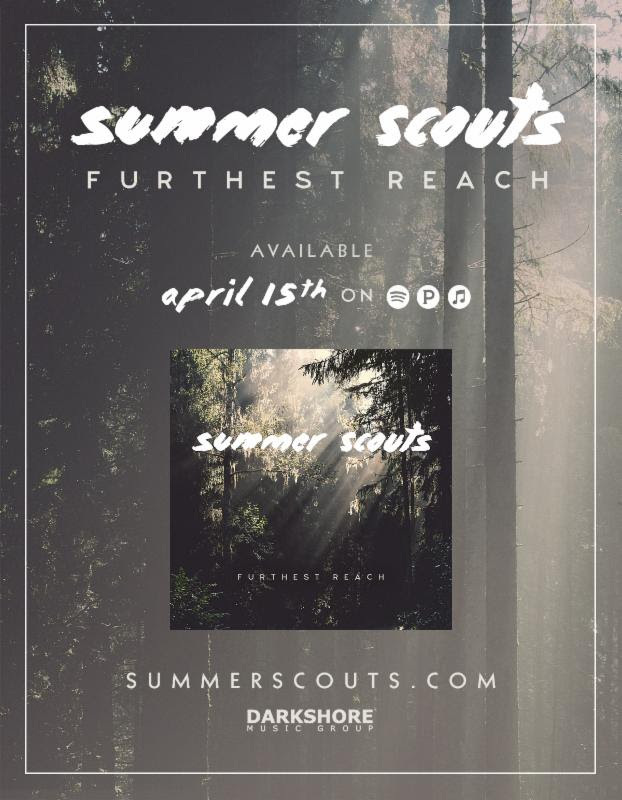 This April brings their biggest step forward to date with the announcement of their debut album, Furthest Reach, out 04.15.16. Consisting of 10 tracks including their 2015 classic “Olympic White”, the album is sure to take the group to the next level. You can take a listen to last years’ single and check out the art/tracklisting below.